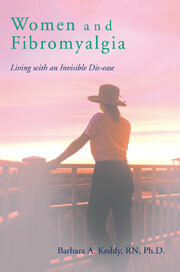 I believe fibromyalgia is an extreme case of prolonged anxiety that began in early life, perhaps in utero, or is even genetic. Furthermore, the concept of a ‘highly sensitive person’ , Elaine Aron’s works of several decades, has changed for me to also mean the highly anxious person, that is, the two are interchangeable. Having just read both Smith’s Monkey Mind and Stossel’s My Age of Anxiety memoirs with his science and historical account of anxiety, I have become convinced that fibromyalgia is another word for heightened anxiety in a highly sensitive person. This entry was posted in changing the brain, cognitive behavioral therapy, Fibromyalgia, fibromyalgia and creativity, fibromyalgia and empathy, highly sensitive person, hypervigilance, insomnia, mindfulness meditation, muscle pain, nurture vs nature, panic attacks, restless leg syndrome, sensitivity to weather changes, startle reflex, tingling of arms and legs on February 24, 2014 by Barbara Keddy.